Tech at Night: No, I don’t believe people care about privacy. Also, copyright roundup. 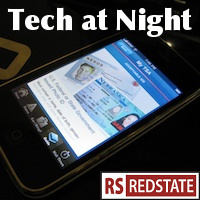 Tech at Night: Our Broken Patent System. Connecting the dots on pro-regulatory hypocrisy. Justice is impeding the Sprint/Softbank merger. Gee, whoever could have predicted that if Sprint funded the left-wing effort to embolden Obama administration action, then Sprint itself could suffer bad consequences? I wonder. It wasn’t me, was it? I didn’t point out that Sprint Nextel itself had a history of mergers, such as the Sprint-Nextel merger, did I? Hmm. Hey Chuck Grassley: The first amendment is not a suggestion any more than the second amendment is. There is no Video Game exception that I saw. You’d have to be as special as the Vice President to think think citing the words of a crazed murderer as an authority helps you make a point, anyway. Besides, it is not your job to dictate ‘artistic value’ to others, nor does your own job have ‘artistic value.’ So if you would silence others who do not have ‘artistic value,’ then that do we conclude about your right to speech? Everybody knows you never go full Biden, Senator. Speaking of full Biden, someone needs to tell Susan Crawford that no matter how many stupid things she says, and no matter how much pro-regulatory propaganda she puts out, Barack Obama isn’t going to appoint her to replace Julius Genachowski at FCC. Crony regulation can kill innovation in an industry, so tech firms need to stop trying to get in on that game, fast. House Energy and Commerce is back to its old tricks from last Congress of course, holding hearings on Internet freedom. This seems to be aimed at the ITU Internet regulation treaty the Obama administration negotiated so poorly against countries like Russia and Iran. On the Senate side, Kelly Ayotte and Dean Heller want to continue protecting us from Internet access taxes permanently. That’s odd. The Democrats tell us that Internet access is a right, yet it’s only Republicans who are proposing extending the Internet Tax Freedom Act. It’s almost like that ‘rights’ stuff from the left is only a means to an end of greater government. Here’s an interesting development: Are anti-terror measures like the OFAC specially designated persons list getting applied to free, online services like Twitter? Can’t hurt, as long as we don’t punish a service like Twitter when terrorists use free, online, automated registration, and instead just tell them to boot the people off when caught.